Welcome to the CNA Exam Cram’s example CNA Resume Sample. A while ago, we created a post on how to create a CNA Resume, however, thanks to your messages, we realized that actually giving you samples would be the best thing for you. So, in order to provide you with the best resume sample and give you a straight forward way in which to approach the task, we contacted the author of The Official CNA Resume and Cover Letters Manual. Thanks for John Rodgers’ generosity, he allowed us to publish an example of his book. The below information is just 1 of 10 sample resumes that his book discusses. However, unlike our website, John’s book comes with the pre-formatted and professionally designed CNA resume templates. So, go ahead and give it a look. If you need more information, then check out his book. You can buy it on Amazon. 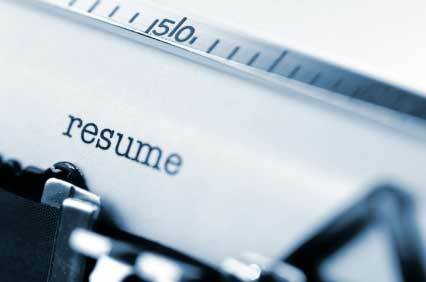 Hopefully you have read our article on how to write a CNA resume. By reading that first, you will understand some of the specifics that we will discuss below. Below this section is an unformatted CNA Resume Sample. It only holds the content, however, notice that next to certain parts you will see a bold number. These numbers correspond to points below the unformatted CNA resume sample, which discusses certain aspects and serve as a teaching tool that you can use to personalize the resume or even improve it. However, if you just want to access a formatted version of the one below and want to just add your own information to it, then you can download the formatted version by clicking Amazon. 1. Your decision as to what comes first should be weighed against what is your strongest point. In this case, this person’s most important aspect to the resume is his internship. Many would think that your Certification would be important, but remember that everyone applying to be a CNA is already certified, or should be. 2. This description of the job title “Intern as Nursing Assistant,” is very weak and should be changed. The best practice is to look at the CNA job description and choose a better description based on what is in the job description. If they are looking for a “Certified Resident Assistant” then put that there. Remember, that there are many names for a CNA and by making your resume apply specifically to the flavor that they use, will only help them to see you as MORE qualified for the job in which you are applying for. 3. Although this sentence reads a little funny, it is short and to the point. When selecting your job description, again, look at the job description that you are applying and see if you can tailor the response to things they mention in the job. You need to continue to convince the recruiter that you have already done this sort of job before, even if you just qualified. 4. This is a very weak description and should be changed. Try to find something in the second description that will make you stand out. Further on in the resume, you will see the person mention that they are “bilingual.” This is HUGE especially if the hospital is located in an area with a need for bilingual CNAs. Therefore, this person should change the sentence to discuss their interaction with Spanish residents. 5. If you haven’t done any other higher-level education, then you would want to only put in the institution in which you were certified through. 6. Only add a GPA if it is above 3.0. Although I wouldn’t recommend adding this unless you have nothing else to add and you have a 3.5 or above. Stating a GPA can also hurt you. If another applicant got a 3.75, then you have already offered up information that would place them above you. 7. You should include what state you were licensed through. 8. If you have done MACE or received any other certification, this would be the time. I would also recommend that this person include a certification proving their level of Spanish. 9. This is a very weak sentence and should be altered to be more specific. In this case, I would recommend looking at the job description and adding something specific to the job requirement. 10. This has already been discussed. Something like this should not be at the bottom of the resume. Hopefully you enjoyed the free CNA Resume sample. We only hopes that it reinforces some of the information that was discussed in previous posts and will help to give you a better idea of what a real Certified Nursing Assistant’s Curriculum Vitae should look like. If you need more information, we highly recommend you purchase the Official CNA Resume and Cover Letter Manual. This book has even more to offer and will surely give you all the tools to succeed.